Welcome to Gordon Library at WPI! This guide will help you navigate the many resources available to you through the library. Use the tabs on the left navigate the guide. Questions? Email the library at library@wpi.edu, request a research consultation with a librarian, or send us a chat. Not sure where to start your research? 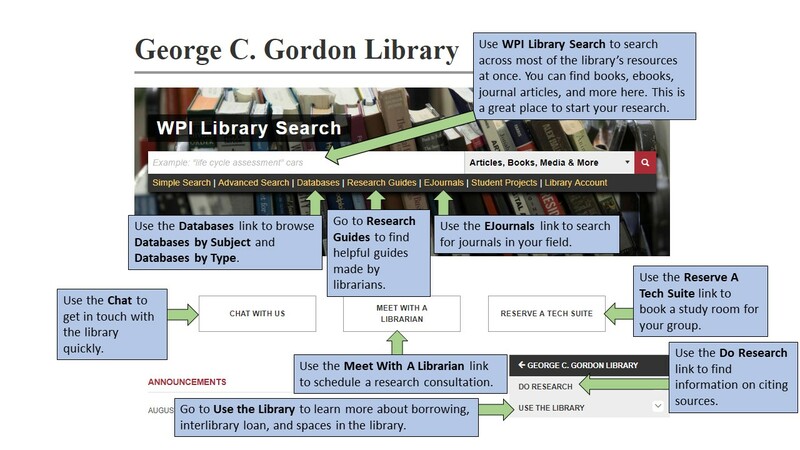 Try the WPI library homepage!